Maver Midlands Man Crowned Fishomania XXV Champion! 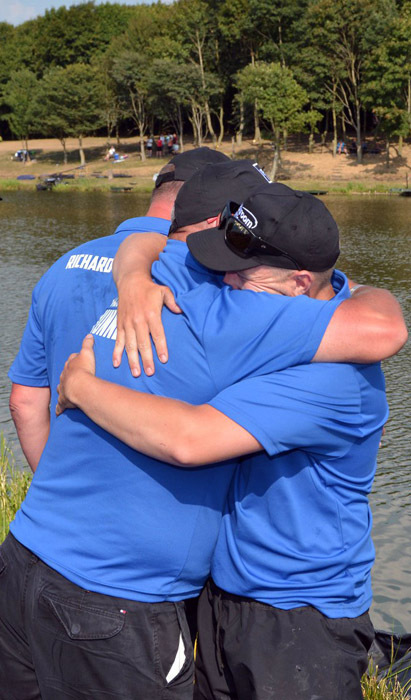 Saturday 14th July marked the annual Fish O Mania Grand Final and a return to Maver Hayfield Lakes on the competition’s 25th anniversary. The event confirmed its next Champion in Maver Midlands rod, Pete Black. The Kings Norton-based man became the youngest ever Fish O Mania Champion after scooping the £50,000 first place prize at the tender age of 21. Pete put on a superb dispay and topped the twenty four (24) strong field with a total of 51.35kg – over 12 kilos ahead of his nearest rival. Pete, who works at Foster’s of Birmingham, is guaranteed to receive a hero’s welcome when he returns to work after winning this year’s final in style. Pete found himself in fourth place after the first weigh in, but then stormed into a commanding lead after a fantastic second thirty minute spell – a position he then maintained throughout the match. “You have to be confident when you’re fishing for a mega amount of money. You can’t sit down on your peg and think, oh I’ve drawn next to so and so and they will beat me“. “It is a dream to win Fish‘O’Mania. I have been putting in a lot of hard work in the last few weeks and it has paid off. Mid-match I lost my way a bit – I went on the waggler and only really caught a few“. “I said to Adam [fellow Maver Midlands man and bank runner], if I’m going to win this I am going to try carry on catching on the pole and I stayed on that then for the rest of the match“. “You have to keep your head. It’s a fishing match at the end of the day. Everybody here is good enough to win, so you have to just enjoy the day“. A huge congratualtions Pete from everyone at Maver (UK) – a worthy winner on the day. Also, a massive well done to Robin and Noelie Goforth at Maver Hayfield Lakes on hosting the event and putting on a fantastic spectacle. The venue looked superb!